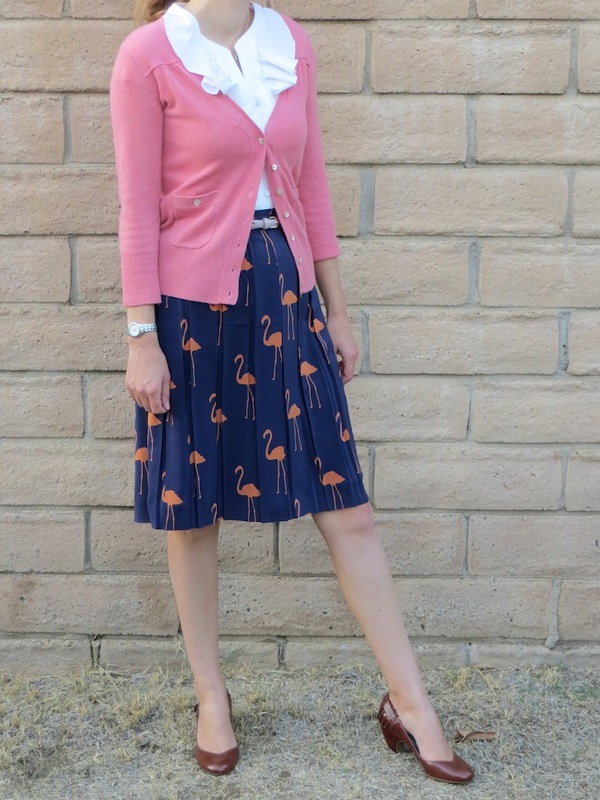 Who needs a flock of seagulls when you can have a flock of flamingos? Plus, you don't have to deal with all that pesky hair gel trying to get the perfect New Wave hairstyle! 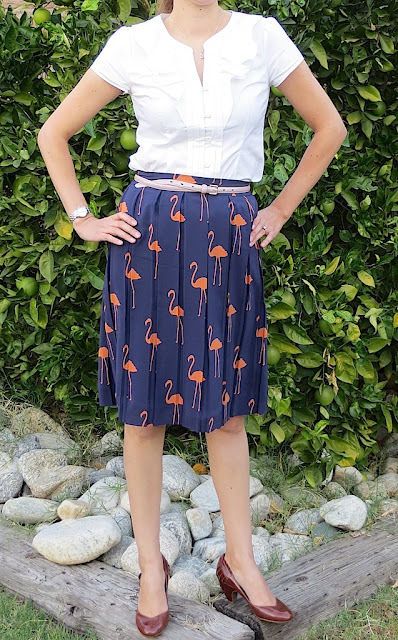 The Anthropologie Stilt Striders skirt is an essential if you love flamingos, quirky prints, or purple. If you're like me and you love all three, then it's perfection! 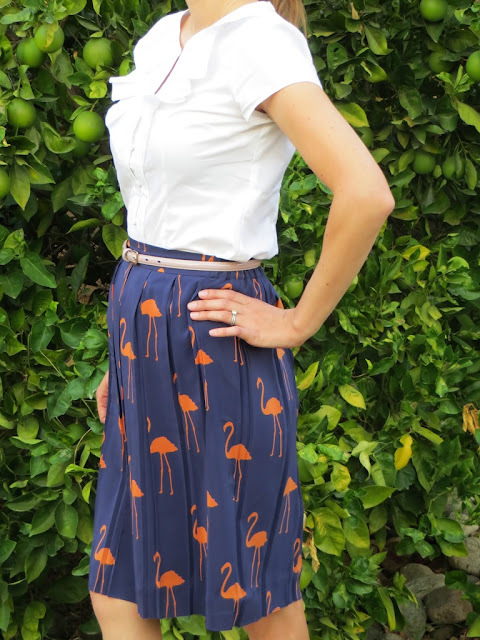 The Stilt Strider skirt was designed for Anthropologie by Charlotte Taylor. 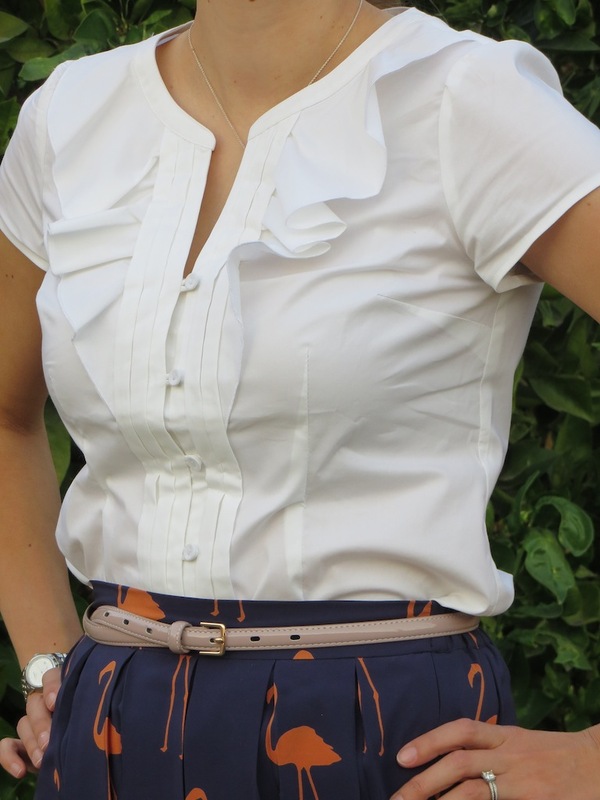 Taylor is a British designer who has the most amazing prints ever! I love the flamingos, but she also features penguins, insects, donkeys and bowing figures clad in kimonos. Some of her prints look like Rorschach ink plots, but upon closer inspection you will discover the human form, hummingbirds or insects. If you love the unusual, you should check out her designs. 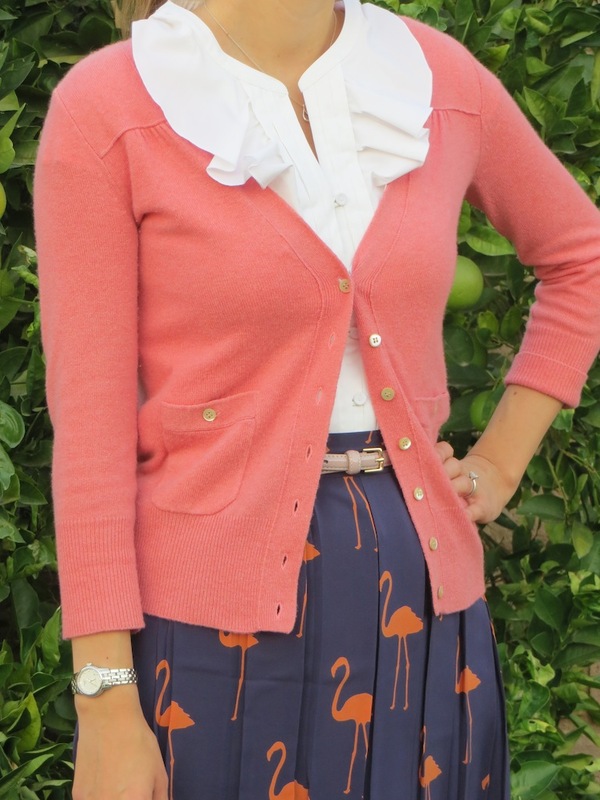 This is so cute - it sure what I love more -- the pleats or the flamingos!